Getting membership of the judiciary more reflective of the population as a whole is a challenge that the Judicial Appointments Commission has been grappling with for many years. The latest statistics, published at the end of July 2015, suggest that some progress is being made – more with women than with those from the black and ethnic minority communities. More than half (53 per cent) of the 60 court judges under 40 years of age are women. 36 per cent of Courts judges were not barristers by professional background (down from 37 per cent). In Tribunals the figure is 67 per cent (down less than one per cent). An essential part of the HMCTS reform programme involves deciding how best to deliver civil justice in England and Wales in a modern age of information technology. The Lord Chief Justice and the Master of the Rolls, as Head of Civil Justice, have recently asked Lord Justice Briggs to carry out an urgent review of the structure of the courts which deliver civil justice. His work is designed to ensure that the structure of the court system aligns with the reform programme and in addition to look at the overall structure of civil justice. He has also been asked to look at the relationship of those courts with the Family Court and with tribunals. This aim is to assist HMCTS by ensuring that the reform programme comes up with a service which makes best use of the large capital investment proposed and provides a modern, efficient and accessible civil dispute resolution service for all. An interim report is scheduled for December 2015. Decisions on the reform of Judicial Review were taken by the last Coalition Government. The Government argues that these proposals will limit the potential for third party funders to avoid their appropriate liability for litigation costs. It also intends that the new rules will ensure that when costs capping orders are made – limiting or abolishing a party’s costs liability – they are made in appropriate cases. In purely commercial terms, the civil justice and tribunals system operates at a financial loss. Many argue that this is as it should be – the provision of courts and tribunals is a public service that should be financed generally by the state, not just by those who have to use the courts. But the former Coalition Government and the current Conservative Government do not share this view. They argue that users of court and tribunal services should pay more for them than they historically they have done. Despite recent increases in court fees, the Government states that the Courts and Tribunals Service costs £1 billion more than the income received through fees. In January 2015, I noted here the decisions of the Government to introduce new court fees – decisions which, when they came into effect in April, resulted in a great deal of complaint from the legal profession. Those decisions were also accompanied by a consultation on other proposed changes to court fees. This incremental approach to policy making – linking decisions and consultations – has now been used again. In July 2015, the newly elected Conservative Government reached its conclusions on the issues it consulted on in January 2015, and at the same time set out further proposals for fee changes on which views are sought – nicely timed for the holiday period when Ministers and civil servants are away, leaving holiday homework for those who have to respond to these documents! The July 2015 document sets out the following principal decisions and issues. 1. Following the January consultation, the Government has decided to increase the fees for issuing a possession claim in the county court by £75, from £280 to £355. The Government claims that the available evidence suggests that this increase will not deter anyone who would otherwise have taken their claim to court. it does not mention the ultimate impact this decision may have on the person against whom possession is being sought. £100, for an application by consent and by £100, from £155 to £255, for a contested application. In order to ensure the most vulnerable are not affected, the Government has decided to exclude from this fee rise applications such as those to vary or extend an injunction for protection from harassment or violence. We have carefully considered the concerns raised during the consultation and decided not to increase fees by 80% as originally proposed. Instead we will press ahead with a more affordable increase of about a third. We are also protecting the most vulnerable by ensuring that fee remission is available for those who need it, such as women in low wage households. What is interesting to me is whether there are opportunities here to encourage parties to potential divorce proceedings to issue proceedings on-line. While some divorce proceedings are extremely complex, many are not. Should not the Government be developing a portal to enable divorce proceedings to be issues on-line, such as now happens in other parts of the civil justice system, e.g. for money claims and possession claims? Lower fees for issuing proceedings online would be expected. It cannot be said that the three changes listed above are going to impact significantly on the £1bn shortfall; the Government’s own estimates are that the increased fees will only raise around £60 million. It is worth remembering that in determining the balance between what users pay towards the overall cost of the court and tribunal service as compared with the financial burden that falls on the taxpayer. That is why, in the last Coalition Government, section 180 of the Anti-social Behaviour Crime and Policing Act 2014 gave the government power to set fees at a level above the costs of proceedings to which they relate, i.e. in crude terms to make a surplus on certain types of proceedings which could be used to fund other types of process. The Government has now set out further proposals relating to fees for proceedings. the most vulnerable, personal injury and clinical negligence claims will be excluded from this higher cap and fee remissions for those of limited means will continue to apply. Second, the Government proposes to introduce or increase fees for certain tribunals. Thus fees in the Immigration and Asylum Chamber would, while applying exemptions to protect the most vulnerable. The Government states it will not be applying any fees to the Social Entitlement Chamber of the First-tier Tribunal, where most applicants do not have the means to pay, or to the Mental Health Tribunal, which deals with especially vulnerable individuals. However, it does want to introduce fees to the property, tax and general regulatory chambers. In the property tribunal, it proposes fees at low levels for the majority of applications, while setting higher fees for leasehold enfranchisement cases where there are often large sums of money at stake. In each of the Tribunals being consulted on, the Government says its aim is to recover 25% of the total cost of the service through fees with taxpayers footing the rest of the bill. What is disappointing about these proposals is that there is no reference to the work done by the now defunct Adminitrative Justice and Tribunals Council, which suggested that discussion of income streams for providing the tribunals service should also include consideration of what financial contribution those government departments against whom decisions are being appealed should make, particularly in cases where the departmentd loses the appeal. The Council felt that the incentives on departments to get the decision right first time were not sufficiently strong. The Consultation on these proposals runs until mid-September. It may be anticipated that consequent decisions will emerge around the end of the year. Full details of the decisions and consultation proposals are in https://consult.justice.gov.uk/digital-communications/further-fees-proposal-consultation/supporting_documents/enhancedfeesresponseconsultationonfurtherfees.pdf. Full lists of the new fees are in Annex B; lists of the proposed new fees are in Annex C.
Litigants in person: a problem for the civil justice system or a catalyst for change? Over three years ago, in this blog, I drew attention to a report of a committee of the Civil Justice Council chaired by Robin (now Mr Justice) Knowles on how the courts might deal with increasing numbers of litigants in person appearing in the civil courts. 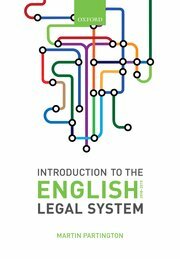 Since that time, a number of further publications have appear indicating the concerns that the judiciary and the legal profession have in dealing with litigants in person (LiP). will, I am sure, play an important role in rendering the civil litigation process less daunting and more accessible for those litigants who represent themselves. In that regard it will play an important part in helping to maintain our commitment to access to justice as a right available to all. I confess I have my doubts. By comparison with, for example, legal textbooks on civil procedure, the document is a relatively easy read – but that said for the non-professionally qualified person, I think it is pretty hard going. It would be interesting to know how many people have in fact been able to prepare themselves for an unrepresented trial by taking the advice set out in the handbook. a document which – in effect – reminds professionally qualified lawyers that they owe a duty to the court – not to make the case for the unrepresented party but at least not to take advantage of the fact that their opponent is unrepresented. Concern about the rise in the numbers of LiPs has, of course, arisen because reductions in the amounts of legal aid for representation in court has reduced the numbers of cases in which parties can be professionally represented. And, in that context, both the judiciary and the legal professions efforts to make things a bit clearer for LiPs is to be welcomed. But I think there are more fundamental questions which these publications do not address. In particular, there is an assumption that the current practice and procedure of the civil justice system is the right one, and that therefore the remedy is to give the LiP the skills to comply with current practices and procedures. But what if the current practices and procedures, though ideal for lawyers and judges who are used to them, are not actually the most sensible or effective? other systems, such as Tenancy Deposit disputes use an electronic portal to ensure that the key documentation and evidence is available for the dispute resolver to deal with the case. The Leggatt Review of Tribunals, published way back in 2001, talked of the tribunal having ‘an enabling role’. This did not mean that tribunal judges were biassed in favour of one party rather than another; rather the system should be designed to ensure that the unrepresented knew what information would be likely to be relevant. The recent JUSTICE report, Civil Justice in an Age of Austerity began to make some rather more fundamental questions about whether the current practices and procedures of the civil justice system are sustainable. In that context, the ‘problem’ of LiPs raises questions that handbooks and guidelines – however well-intentioned – are unlikely to address.